Many happy weekends were spent at this cottage. This was painted following a workshop with Sterling Edwards and I was trying to loosen up the style of my paintings. 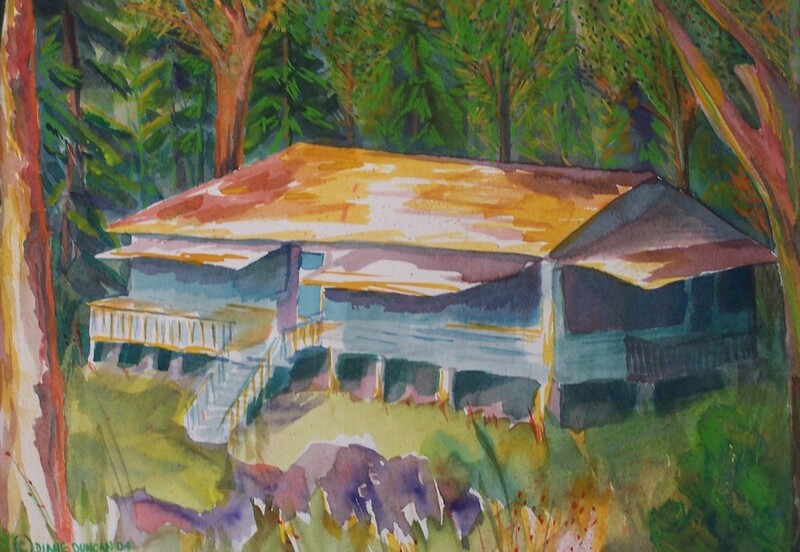 The painting now resides with the folks who hosted the merry times we had on Lake Scootamatta.